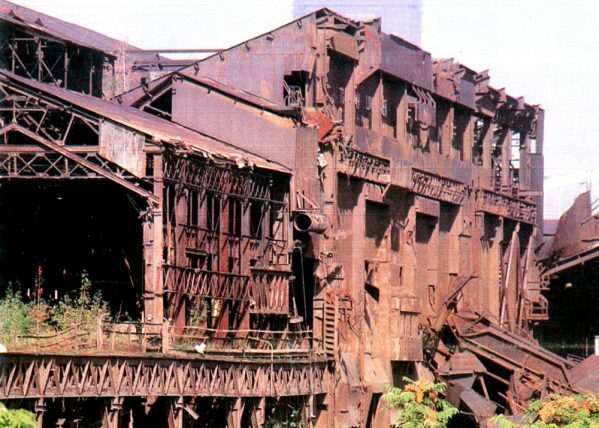 Above: J&L’s South Side Works, 1988, photographed by The Pittsburgh Press Sunday Magazine. In the early 1980s, steel mills and factories throughout the Mon Valley were closing and being abandoned. A national research organization said the region was facing the same devastation as a community that had been overwhelmed by a natural disaster such as a hurricane or earthquake. On Dec. 1, 1988, a coalition of community development groups, founded by residents and business owners who were concerned about the future of their hometowns — who wondered if their hometowns even had a future — came together to create the Mon Valley Initiative. This Dec. 1, Mon Valley Initiative will celebrate its 30th anniversary. 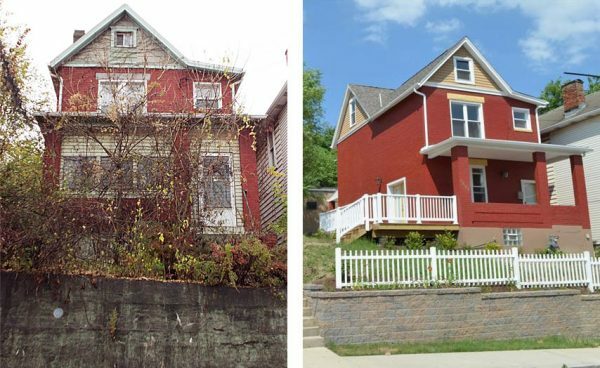 Above: 503 Main St., East Pittsburgh, before and after MVI rehab. Over the past 10 years alone, MVI real estate projects represent more than $40 million in direct investment in participating communities. Every year, we provide first-time homebuyer counseling to about 300 people, and financial coaching and job-searching assistance to another 300 people. And if someone enrolls in our innovative workforce program and completes it, we have more than a 60 percent success rate of helping them find a new or better job. That includes people who have overcome serious personal challenges, such as addictions, divorces and criminal backgrounds. If you haven’t yet made a pledge to our annual giving campaign, why not consider making a donation of $30 in celebration of our 30th anniversary? Thank you for continuing with us on our journey! We look forward to working together with you, and our neighbors, for many years to come. Above: 1307 Bell Ave., North Braddock, before and after MVI rehab. Mon Valley Initiative is a tax-exempt organization under Section 501(c)(3) of Internal Revenue Code, and your gift may therefore be tax-deductible as a charitable contribution where permitted by law. Consult the IRS or a tax professional for information.